We are YOUR Missouri, Smith & Blackfoot River Experts. 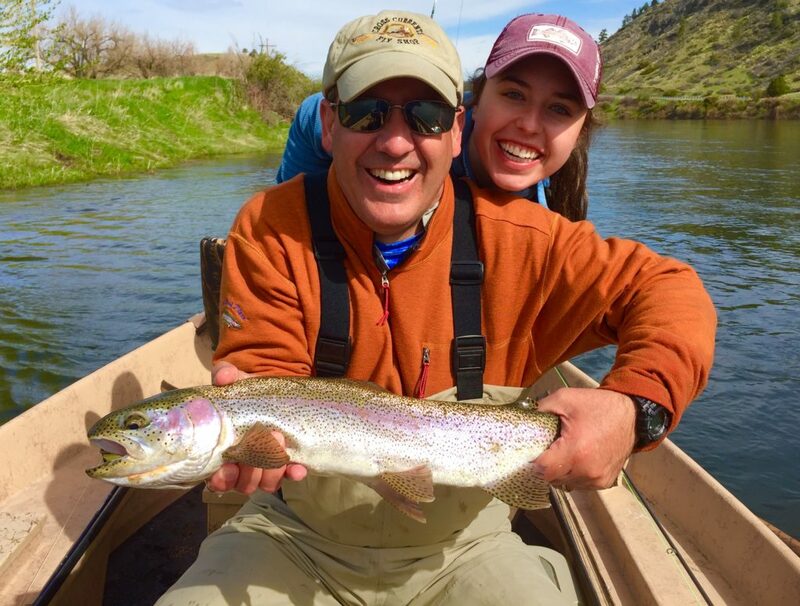 Let us create your Guided Fly Fishing Adventure – MONTANA STYLE! GOT BOATS, RAFTS, RODS, WADERS? We do! CrossCurrents rents quality EQUIPMENT for the best price for the Missouri, Smith & Blackfoot Rivers. Let us arrange your stay. We have options for One to Groups of 12 or more. From Multi-day to Private, Beginner to Advanced, Women’s Only and Parent-Child – CLASSES AND CLINICS to help you. Since 1994, our original fly shop has been at the same location in Downtown Helena and is open year round. In 2001, we opened our second fly shop on the Missouri River in the tiny trout town of Craig, Montana. Our Craig shop is open seasonally from the end of March through October. Our Craig store is the location for all of our Boat Rentals. We rent Drift Boats, Rafts (for fishing or fun), Single-Person Kick Boats, Inflatable Kayaks and Stand-up Paddle Boards (SUPs). Most of our boats are used on the Missouri River but our rafts can be rented for the Smith River, Blackfoot River or other waters. We are your Smith River Experts! We built a 2-story fly shop and motel right in the middle of the trout town of Craig, Montana to provide more room for our expanding Guide Service, retail business, boat rentals and to help provide much needed lodging for the Missouri River area. Our retail fly shop is open from March through October. However, our Craig lodging, is open all year long. Spring has sprung! Take advantage of our MO Spring Guide Rate Special until April 15th!! This season is going to be excellent -great snowpack will make for healthy streamflows! Contact us to book your Guide Trips and/or Boat Rental for the 2019 season! Call us in Helena (406-449-2292) or Craig (406-235-3433) or stop by and see us in both our locations. We have 100% confidence in our Guides. This confidence is based on customer feed back and our personal knowledge of their abilities. We will not put any client with a Guide that is not on our list. Besides having the best river knowledge, training and experience, our professional Guides are excellent teachers as well. 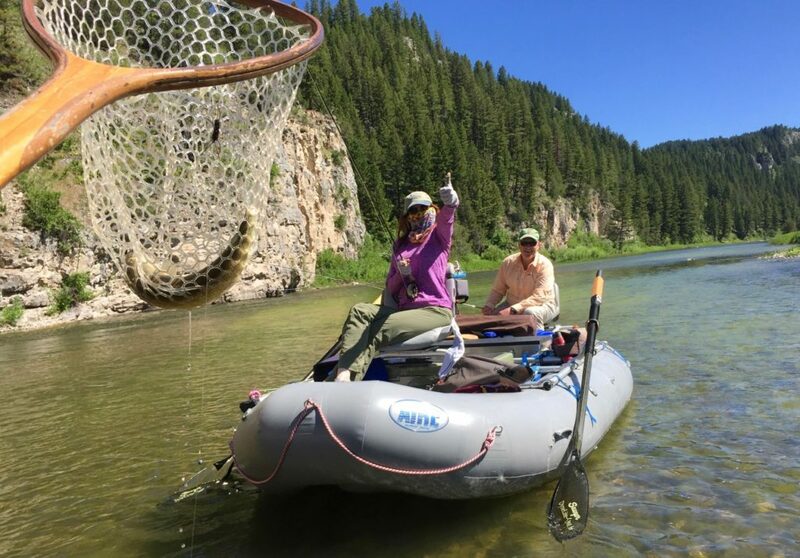 Our full day trips include: 7-10 hours on the water with personal instruction based on your ability and desire, all the tippet and flies used, snacks, non-alcoholic drinks, and a delicious streamside lunch. We also are happy to furnish Orvis Rod Outfits and waders if you don’t have any or want to leave your gear at home. Montana Fishing Licenses and other quality gear can be purchased at CrossCurrents Fly Shop. Our friendly knowledgeable staff are passionate anglers and outdoor enthusiasts who love to share their expertise with you to help you get the most out of your adventure. 2019 is booking up quickly! Call today to book your Guided Trip on the Missouri, Blackfoot or Smith River today. 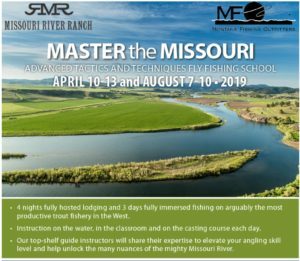 Super sweet opportunity to up your fly fishing game on the Missouri which will help you on any river. 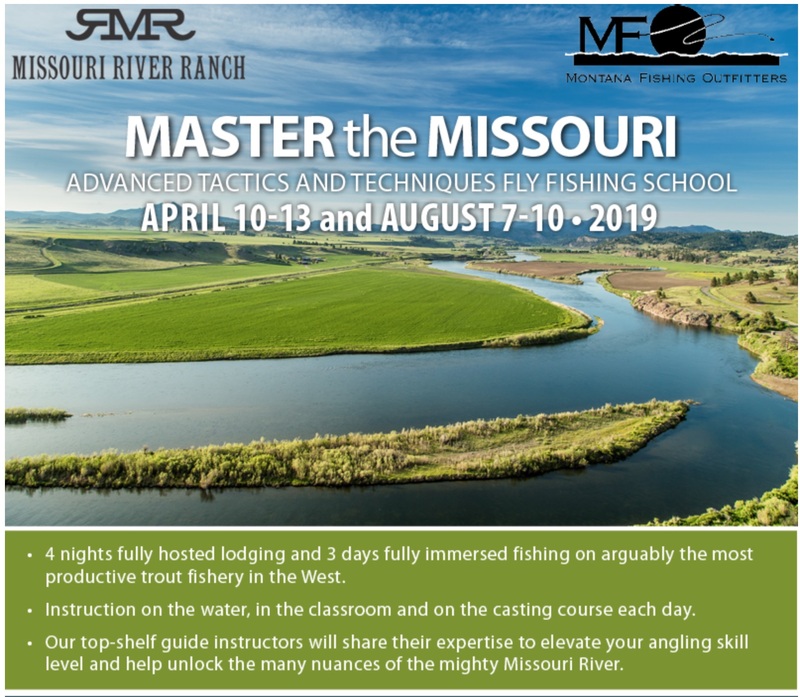 Our good friend, Garrett Munson, has put together a super fun and informative “school” mixing Guided Days on the river with some lessons back at the Lodge and of course, the fabulous food and accommodations of the Missouri River Ranch. If you want more than just a day of fishing on the river but rather want to improve your skills as a fly angler -and laugh more than should be legal, please give us a call and we will get you hooked up with this fun school. Openings in April (which is going to be a dynamite fishing month -pre run off, dry flies and well as weed-free nymphing and big trout streamer fishing). Also a couple slots still open for the August school. Learn from the top Guides on the MO- Taylor Todd, Garrett Munson, Drew Christian and Chris Strainer. Take advantage of our MO Spring Special Guide Rates of $400 until April 15th. The fishing has already been great and so has the weather. Our Guides have been fishing on their own but would love to have you in their boats to show you how awesome the Spring fishing can be on the MO! Did you get a Smith Permit for this year? Need a sweet Rental Raft? Need Rental Equipment (Yeti, Bear Fence, Cots, Tables, Dry Bags, etc.? Need expert advice for your DYI Smith River Trip? Shop Sales Staff, SHUTTLE DRIVERS, and HOUSE KEEPING are all positions we are looking to fill. If you’re interested in joining our team, please drop us an email or give us a call. Ask for Ben or Chris for details. Check out our WINTER CLEARANCE SALE! !